What is the difference between primary plant growth vs. secondary plant growth? In "Understanding Basic Plant Growth," you'll hear a quick explanation and learn more about these changing plants in your garden. Plants grow in specific ways depending on many different variables. In order to best care for them, you need to have an understanding of basic plant growth. Listen to our quick segment on this "DIY Garden Minute" to learn about the difference between primary growth and secondary growth as well as basic plant growth knowledge. This episode is for beginner gardeners who want to learn and understand basic plant growth. Go to Eden Brothers Seeds for more information on how you can start your own heirloom garden plant varieties! Are you looking to Save Seeds From Common Garden Vegetables? Look No Further! 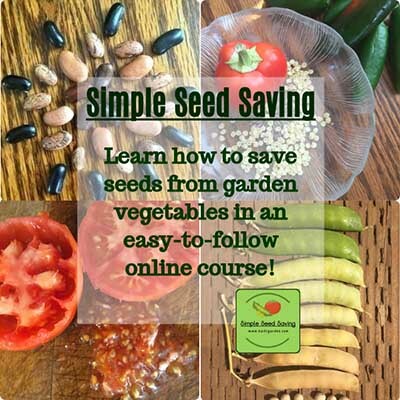 We want to share with you the Simple Seed Saving course! Kait's Garden course called Simple Seed Saving! Watch a course demo here and be sure to let her know that Spoken Garden sent you! Start collecting your garden vegetable seeds by following this easy-to-follow online course with downloadable reference charts. Plus, the course never expires because you have lifetime access! Best of all the condensed information of the course can be quickly completed in an afternoon! 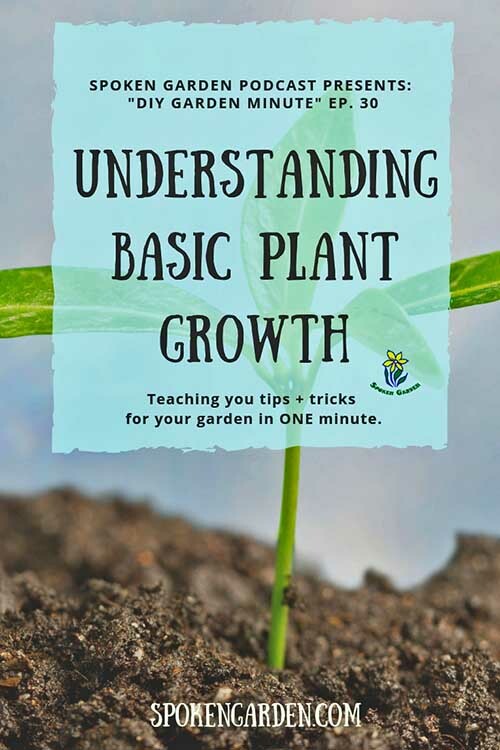 Click the graphic above to save "Understanding Basic Plant Growth" to Pinterest for later! Learn how plants grow and the difference between primary and secondary growth patterns. Basic explanation of plants and their growth patterns. Why it's important to understand the difference between primary and secondary growth.